Today is Valentine’s Day so lets talk about Lonesome George. 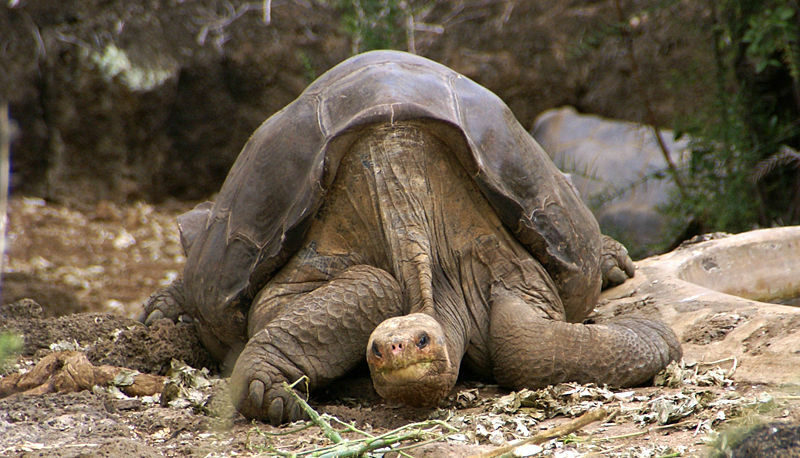 Lonesome George is a 100 years old Pinta tortoise who is the last known living creature of it’s kind. He is currently the rarest animal in the world. Attempts to get him to mate with female tortoises of different subspecies has been unsuccessful. I mean the mating part is successful, but although eggs have been laid, none have hatched. Possibly due to the lack of any females of his own kind. Therefore a reward of $10,000 for the discovery of a Pinta female, which is crucial to save the subspecies. Should she not be discovered, the Pinta tortoise will become extinct in captivity, and then, upon Lonesome George’s death, completely extinct.